The word print is used to describe an illustration or reproduction of an image and also to describe an original work produced by an artist. 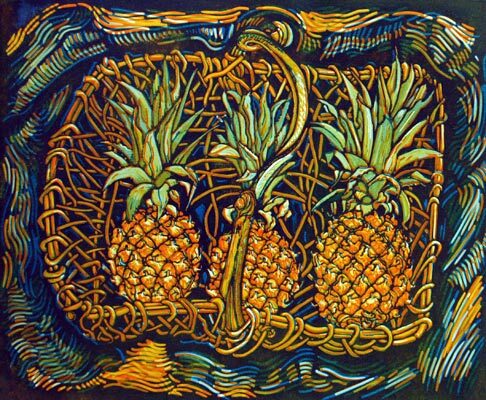 An original artists print is a work conceived by the artist and transferred to a surface, wood, metal lino, etc. to produce an image. My prints originate from observational drawings. 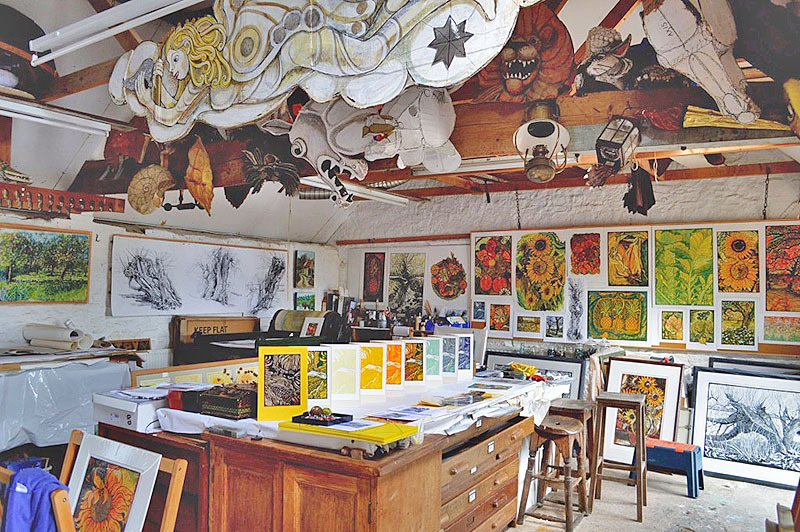 There is no shortage of inspiration locally, in Somerset. Walking the local landscape with my dog, Noah, I discover potential scenes to draw. I then I go back out into the landscape with my easel, paper and charcoal. I often work in pastel, charcoal, or graphite, on Somerset satin paper from St. Cuthbert’s Mill Wookey Hole. When complete, the drawing is traced onto acetate sheet using a permanent maker pen. The completed image is reversed, then traced using carbon paper onto lino. After redrawing directly onto the lino, the block or blocks are cut to remove the areas to remain white. The cutting, depending on the size of the block, can take from 3 to 6 weeks. I usually cut from back to front, starting with the sky, then the far distance, then the middle distance, and finally the foreground. The foreground is the hardest to perfect, I sometimes do a proof print at the middle distance stage just to assess the image for tone and space, light and shade. It’s easy to remove more at this stage, but can’t put it back once it’s cut it away!